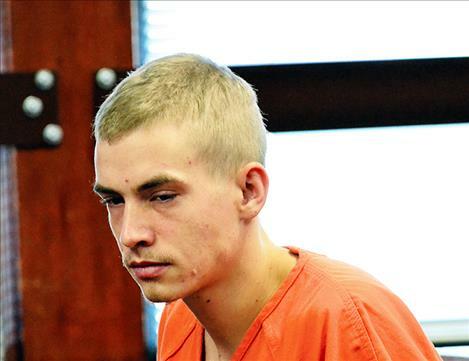 POLSON — Stephen Seese, 23, was sentenced to 40 years in the Montana State Prison with no time suspended last week for his role in the death of his 18-year-old nephew, Richard Warner, in Arlee last February. Seese and his wife, Kassandra Seese, were both convicted of accountability to negligent homicide through plea agreements, although Kassandra received a 20-year sentence with all but five years suspended in November. She is housed at the Montana Women’s Prison in Billings, according to Lake County Attorney Steve Eschenbacher. “At some level, we’re tested and sentenced based on our actions and upon the danger to the community,” Manley said. Seese was given credit for 215 days in jail. Manley recommended that Seese get mental and chemical health screenings for possible treatment. He will be eligible for parole in 10 years, although his attorney, Lisa Kauffman of Missoula, doubted that he would be paroled then based on her knowledge of how parole works in Montana. Kauffman, who was assigned as Seese’s public defender because of a conflict due to the Lake County Public Defender’s Office representing his wife, asked Manley to sentence Seese to five years in the Department of Corrections so that he can receive better treatment for his various conditions. She noted that five years is the maximum one can be sentenced to the DOC. Dr. Laura Kirsch, a Missoula psychologist, testified as an expert witness for the defense. Kirsch said Seese didn’t qualify for admission to the Montana State Hospital in Warm Springs, but diagnosed him with borderline personality disorder, anti-social personality disorder, depression and a variety of substance abuse issues. 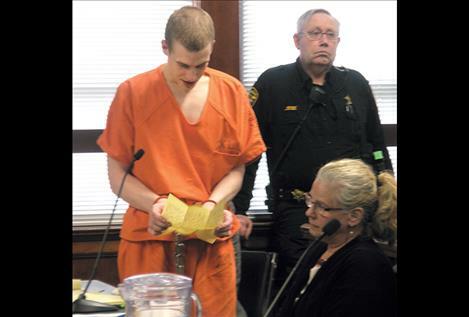 Kirsch noted that Seese has a long history of suicide attempts and cutting and burning himself. Lying for the sake of lying is a sign of anti-social personality disorder, she said, and exaggerating is a sign of borderline personality disorder. She said Seese would have more treatment opportunities at DOC, adding that if he failed there he could be sent to the Montana State Prison. Under questioning from Kauffman, Kirsch agreed that mental health treatment in prisons generally consists of crisis care and substance abuse and not chronic care. Warner’s body was found June 2 in a trailer after it had been decomposing for several months. Lake County Sheriff’s Office detective Rick Lenz testified that he was called to the scene that day and saw a foot sticking out of the shower with a lot of items stacked on top of the body, including clothing, blankets and a wooden TV tray. Lenz described injuries to what was later identified as Warner’s body, including six to 10 broken ribs, two or three jaw fractures, broken spinal parts and several skull injuries. Eschenbacher asked Lenz if he had ever seen a body with that much damage. Bailey said he offered to let Warner stay with him, but added that Warner declined because he said Seese got him out of a really bad situation. Once Warner broke down crying on the job and said he was sick of Seese beating on him, stealing his money and not giving him enough food, Porter-Smith said, who added that Warner would show up to work without a coat or gloves in winter. Warner’s stepmother, Tabitha Warner, gave a victim impact statement and said she was disappointed with the way Seese was allowed to fall through the cracks too many times. She noted that Seese hung himself in her garage with an extension cord. Seese’s mother Tina Medrano said she tried to get him the mental health help he needed. “My son is two different people when he’s on his medications and when he’s not,” she said. “I don’t condone the choice, but I can look you in the eye and tell you I forgive you,” Warner’s mother, Cynthia Warner, said, quoting a Biblical passage from Ephesians 4:31-32. “I as a Christian have to forgive you so that I can be forgiven from this day forward,” she said. “I pray you come to know Jesus Christ because if you don’t, your eternal life is not going to be fun,” said Marshall Johnson, who said he lost a brother and read a note from Warner’s sister. Seese read a statement and sobbed and cried before sentencing. When he pleaded guilty in December, Seese implicated his wife in the killing. He added that “every morning they had to Febreze the (shower) curtain because of the smell,” which he called the Seeses’ morning ritual. In closing, Kauffman asked that Seese be placed with the Pine Hills Youth Correctional Facility in Miles City, a program for 18-to- 25-year-olds that’s been open about a year. “There is the possibility of redemption,” she said.